Selling your home is one of the most important financial transactions of your life. You’ll want to work together with a professional who understands the process and can give you peace of mind by taking on the “heavy lifting” of the paperwork, negotiation, and marketing. That leaves you free to concentrate on getting your family moved and starting this new chapter in your life. Derek Vaughan is an honest and educated real estate agent who will get your home sold quickly and negotiate the highest possible selling price. In addition to holding an MBA from a top twenty school (Vanderbilt University), Derek has spent years honing his marketing skills with brands like The Walt Disney Company, NASCAR and ESPN. 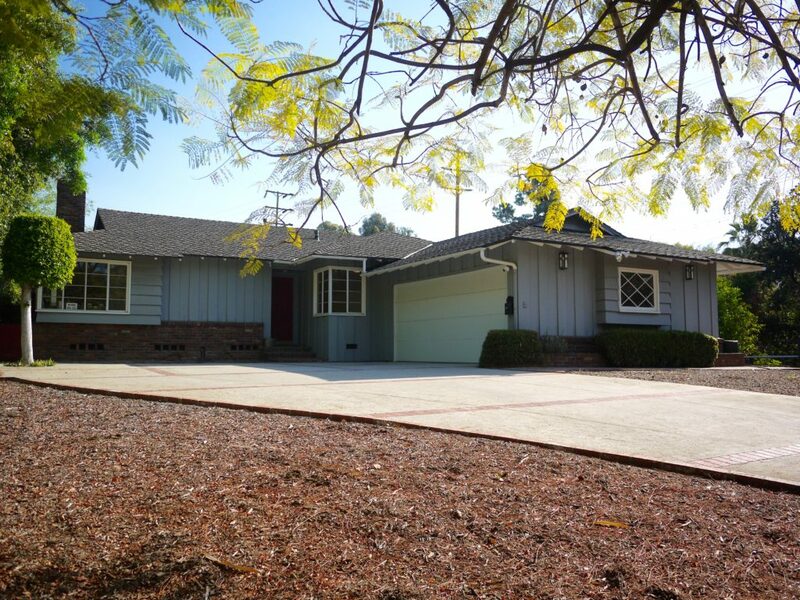 Derek specializes in the South Pasadena home sales market and surrounding communities. The following are just some of the marketing activities that are executed at no additional cost to the seller. Specific properties dictate the scope of additional marketing efforts. A customized marketing plan is prepared specifically for each client and property. ** “For Sale” yard sign – since your property is on a main street in the neighborhood, a yard sign will immediately let everyone who drives past know that there is a home for sale. There are also various “riders” that can be put on the sign such as “Open Sunday!”. ** Photos – Professional photos by a truly professional photographer who specializes in creating visually stunning and attractive architectural photos for home sellers. These photos are used to create attractive collateral materials such as: flyers for an open house, door hangers, or direct mailers for hyper-local marketing. ** Multi Listing Service (MLS) – This is the database that every realtor relies on to search for homes for their buyers. Once the home is listed in the MLS – realtors become aware that it is available and alert their buyers to check it out. This data is also used for consumer websites specializing in homes for sale. ** The Dilbeck Real Estate internal network – Dilbeck has over 660 agents all of whom represent active buyers and sellers of real estate. There is a mechanism within our company to alert all these realtors when new properties become available. There is also a “coming soon” announcement to these professionals. ** Data mining – Directly contacting realtors who have previously bought or sold near your property. Derek will create a database of local and active realtors who most likely have a fertile pool of buyers lined up. Each will get an individualized email when the property becomes available and an invitation to call for further details – plus instructions for private showings. ** Internet sites – Zillow is the one of the biggest real estate websites, but there are also a number of similar sites such as: Trulia, Realtor.com, Ziprealty and a host of others. The MLS listing is picked up by virtually all these sites. There are also sites which don’t pick up the MLS – but which can reach a vast pool of potential buyers. Derek will hand input the property data and photos into these sites as well. These need to be updated every few days as the ads “age”. ** Facebook advertising – Derek is an expert in targeting Facebook users by geography and other pertinent demographics such as: interested in real estate, income levels, family type, likely to move, age, gender, own or rent and many many more. ** Open house – No matter how great the photos are, buyers need to actually step foot in the property to make a buying decision. Your flyers / takeways can be a great “second chance” to sway buyers who see several homes in one day. 1. Knock on the neighbor’s door and invite them to an open house – hand them a flyer. 2. Door hangers – same as above but potentially more efficient. 3. Direct mail – create a compelling postcard and mail it directly to households nearby announcing the open house. “Thank you for giving me the opportunity to work together with you on one of the most important transactions of your life. I treat all my clients with dignity, respect, honesty and fair dealing. You can expect that I will provide knowledge, expertise and experience on your behalf. You can also count on punctuality, and efforts that go “above and beyond” what you are used to in a real estate transaction. Our communication will be seamless and handled in the manner of your choice – be it email, text, phone calls or in-person meetings to keep you apprised of the current status of our activities together. To find out what your home is currently worth and to begin the process of getting it sold quickly – just give Derek a call at: (626) 437-6800 or email: Derek@SouthPasadenaHomes.com.